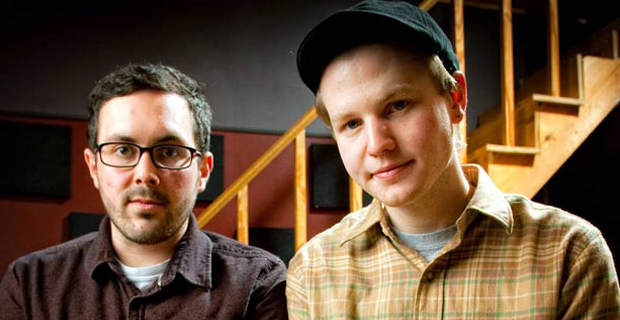 Pop-punk duo, Misser, will be heading out on a short tour this September. Misser will be joined by indie artist, Young Statues, and Baltimore outfit, Diamond Youth. The tour will kick off on September 14 in Poughkeepsie, New York and will conclude on September 22 in Boston. Check out the full list of dates after the jump. Misser is the brainchild of Transit guitarist, Tim Landers, and This Time Next Year guitarist Brad Wiseman. They released their stellar debut full-length, Every Day I Tell Myself I’m Going to Be a Better Person, earlier this year. You should go and grab a copy of the fantastic release. Young Statues is a Philadelphia indie artist who has gained a whole bunch of momentum over the past couple months. Singer Carmen Cirignano released his Young Statues self-titled debut last year via Run for Cover Records. Diamond Youth are a rock quartet signed to Black Numbers Records who released their new 12″, Don’t Lose Your Cool, back in June. http://www.facebook.com/dmndyouth this is the diamond youth on this tour. not the one from melbourne.